Do you want to ensure that the thread of inclusion runs through your firm? Let people bring their true self to work and you will start to see a real difference in performance and have more engaged staff. 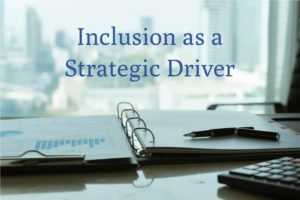 I share some useful tips on how to fully maximise your inclusion efforts. Here at PDT Global, we believe that a soft approach to D&I may be doing more harm than good. Recent studies indicate that a lot of the ‘power groups’ within organisations are not being brought along with the standard D&I conversation and don’t believe in the business case being sold to them. We specialise in working with Partner groups & Executive teams to help them understand the business case for Inclusion in their language, tying the risks and rewards of being more inclusive to the bottom line of their specific practice/geography. 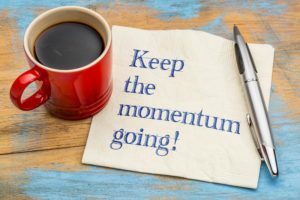 We have found that overall arguments about how the firm will benefit are important- but the more specifics around how having an inclusive environment will improve the results for the IP team, or retention on the Digital team may be very different. 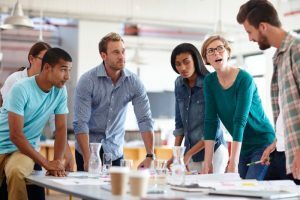 While much of our work explores how when we take a more business focused and challenging approach to both diversity and inclusion it impacts recruitment, retention, promotion rates, client impact and a host of other things – we find the biggest impact within professional service can be made by reducing the bias in work allocation and project decisions. Challenging the assumed wisdom and potential protective behaviours around this has resulted in firms quite literally altering their processes, language and prejudices around who deals with a matter or client. Driving accountability in inclusion is about more than setting targets for ‘increasing diversity.’ Whilst having a diverse workforce that reflects its customer base is important, diversity in itself will not drive positive change in an organisational culture. We have found the most successful way to drive meaningful change within an organisation is to make managers accountable for taking action around inclusion in their teams. Not just a comfortable commitment to support made at the end of a training session – or written upon a post it note! Also not an onerous task that takes away from billable hours or already pushed client partners. We have numerous ways to ensure a thread of inclusion happens in your firm by capturing inclusion actions that happen post any training or learning intervention. One such is the conversation guide that not only walks all levels of managers through having simple team based conversions over a 12 month period – but has them capture actions and share back with their manager or partner. It’s a culture change tool that actually works.